It has been a busy and productive year for the Creemore Tennis Club. 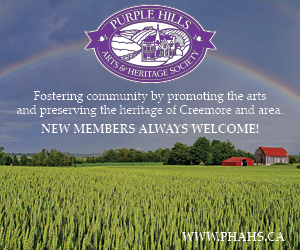 Club membership has grown to over 100 children and adults from in and around the Creemore area. The club has been in existence since at least 1975 when the courts were located where the new fire hall is situated on County Road 9. In April we held our Spring Mixer which provided club members the opportunity to meet other players and set up matches. In May, in collaboration with the Nottawasaga Creemore School, we held our annual demo day. This is a great opportunity for four or five classes to experience the fun of tennis. Our partners in this event, Simcoe Tennis, provided all of the equipment and the games. It is a great first exposure to the game of tennis for many children. Later in May, the six-week evening lesson program provided more structured learning opportunities for children five to 13 years of age. In July we operated our summer tennis camp for a week. Overall we estimate that we put a tennis racquet in the hands of approximately 150 children, offering them an opportunity to learn skills and enjoy the pleasure of the game. This past weekend a summer of round robin play culminated in our annual mixed doubles tournament. The weather held off all day Sunday and gave us the time to get through the five rounds of play. There were ten entrants, all in the intermediate skill range. The overall winners were Lawrence Bell and Marie-Eve Vachon. Tennis memberships can be purchased at the Curiosity House Bookstore. We at the club are looking forward to another great year of tennis in 2019. We will be holding more tournaments, as our members have requested, and expanding our lesson program. New members are invited to join us. 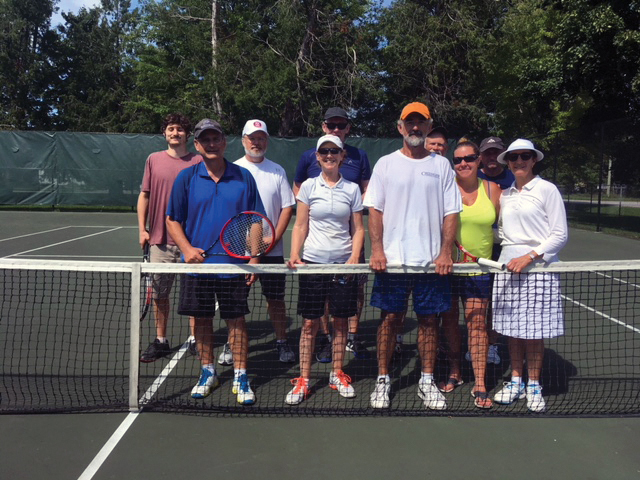 Contributed photo: Participants in Creemore Tennis Club‘s annual mixed doubles tournament: Noah Eisner, Lawrence Bell, Mike Westbrooke, David Eisner, Geoff Ayton, Andrea Hubert, Peter McLachlan, Marie-Eve Vachon, Wayne Pester and Janet Stern.